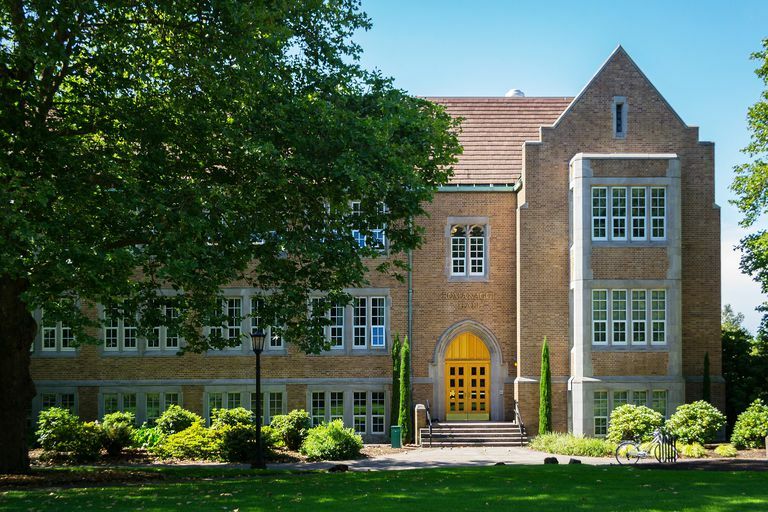 The University of Portland has an acceptance rate of 61%, and successful applicants typically have grades and standardized test scores that are above average. For the class entering in 2016, students had an average 1193 SAT score, 26 composite ACT score, and 3.65 unweighted GPA. Applicants can use either the Common Application or the University of Portland Application. The application process includes a recommendation and an essay. Founded in 1901, the University of Portland is a Catholic university affiliated with the Congregation of the Holy Cross. The school is committed to teaching, faith, and service. The University of Portland frequently ranks among the best western master's universities and the nation's top Catholic universities. It also earns high marks for its value. The school has a 14 to 1 student/faculty ratio, and among undergraduates nursing, engineering and business fields are all popular. The engineering programs frequently place well in national rankings. In athletics, the Portland Pilots compete in the NCAA Division I West Coast Conference. The beautiful campus is located on a bluff overlooking the Willamette River, leading to its nickname, "The Bluff." Fun facts: The mascot is a river pilot, not an airplane pilot. The University of Portland buried the football a century ago and does not have a football team. "The University of Portland, an independently governed Catholic university guided by the Congregation of Holy Cross, addresses significant questions of human concern through disciplinary and interdisciplinary studies of the arts, sciences, and humanities and through studies in majors and professional programs at the undergraduate and graduate levels. As a diverse community of scholars dedicated to excellence and innovation, we pursue teaching and learning, faith and formation, service and leadership in the classroom, residence halls, and the world. Because we value the development of the whole person, the University honors faith and reason as ways of knowing, promotes ethical reflection, and prepares people who respond to the needs of the world and its human family."